Ojibwe Road, a trail carrying 1,500 cars per day, is proposed to be improved using federal/state transportation funding. (Image from Google. )A proposed local road project that has both a traditional engineering approach and a vocal and well-organized opposition subtly reveals what drives most bad design decisions: the funding source. At issue is five miles of rural roadway in an unorganized portion of Crow Wing County, Minnesota. The roadways are not major collectors – they serve only 1,500 cars per day – and have no regional significance. They are, in essence, local roadways; the first and last few miles of a trip that these, primarily lake-property owners, would use to get somewhere. The fact that this is a county roadway is an historical and geographic quirk, not a representation of its function or usefulness. In a region where there are many serious and ongoing safety issues on county-administered roadways –- particularly pedestrian safety within the city of Brainerd -- the safety record of these roadways is not in question. In fact, the opposition to the project makes a compelling case that the proposed improvements would make the roads more dangerous. "In addition, the road would be re-constructed employing a forgiving design which by intent allows for driver error, but actually fosters higher speeds and driver inattention," the residents' letter stated. "These higher speeds and driver inattention would be occurring within inches of the pedestrian walkway. It is the opinion of other experts and the property owners that a pedestrian being struck will be inevitable. Moreover, studies have shown that with the speeds associated with forgiving design highways, the likelihood of pedestrian fatalities increases dramatically. ... The real irony is the very scenic beauty that brings the pedestrians to the roadway; the county engineer will destroy with his plan." As someone who would be considered by most to be an expert on these issues, I would concur with that quote. Forgiving design is for highways. This rural roadway is clearly not a highway. Using forgiving design principles in this place – widening, straightening and flattening the roadway and adding clear zones on each side – would give drivers a false sense of security, encourage higher speeds and make the roadway more dangerous. That is not how the project engineer sees it. Indicating that he must use “minimum standards,” he indicated that simply reconstructing the roadway with its currently grade and alignment is not an option. “Knowingly allowing a simple overlay without addressing known design deficiencies, including pedestrian accommodations, is indeed irresponsible, if not negligent." "I want to be proactive before somebody gets hurt on a road that has blind spots, sharp curves." So what precisely are we talking about here? What is the substantive design difference between a roadway that would be deemed safe by the “minimum standard” and a roadway that would be irresponsible and negligent to construct? The answer seems to be removing trees and adding four feet of pavement to each side of the road. Today, the road has 11-foot lanes and no paved shoulder. The minimum acceptable proposal from the county would keep the 11-foot lanes, clear trees back from the edge of the roadway – enhance the clear zone, in technical speak -- and then add a four foot paved shoulder on each side of the roadway. That’s it. That’s the supposed difference between safe and dangerous. You might be scratching your head at this point. Clearing the trees back and adding a shoulder – regardless of how minimal -- will certainly speed up the little bit of traffic that travels these roadways. Amid this faster-moving traffic, how does a four foot shoulder become a “pedestrian accommodation”? Is there any research to show that a four foot shoulder – people walking single file on the edge of a now highway-designed corridor – is safer for anyone on foot? And is this epic struggle – which, according to the article, has forced prior county engineers to avoid dealing with the roadways altogether – really over some trees and a few feet of pavement? Nope. The emphasis is added by me in the following quote from the same article. "This configuration represents a total pavement width increase of 8 feet," Bray stated. "It is the minimum that I am willing to accept given the current and projected roadway conditions. It also represents the minimum design thresholds required to maintain eligibility for funding from sources other than county property taxes." The Federal Highway Trust Fund -- gas tax revenues plus deficit spending -- is incapable of funding our transportation systems without significant reform.Let me spell this out as clearly as possible: If the roadways are reconstructed to the “minimum standards” allowed by state/federal funding sources, then state and federal money can be used to pay for this local access road (a glorified trail) that winds through the lakes and woods of central Minnesota and serves a bunch of lake homes miles from town. If the roadways are simply replaced with the alignment and grade they currently have, they would not meet state/federal standards and the cost for the project would come entirely out of the county’s budget. All the talk about safety, pedestrian accommodations, blind spots, deficiencies, etc… is a red herring for the real issue: who is going to pay for this. While I’m sympathetic to the technical argument of the property owners against applying forgiving design principles, it should be noted that they are not being asked to pay to fix this roadway. Their taxes come nowhere near covering the cost. So the question really is, are the state/federal taxpayers going to subsidize their roadway or are rest of the county’s residents going to? Those are two terrible options. As an endnote, we’re entering into an election cycle in which nearly every politician is going to indicate that we lack enough funding for transportation. When city and county engineers are polled, they have a long list of projects like this with no money to accomplish them. 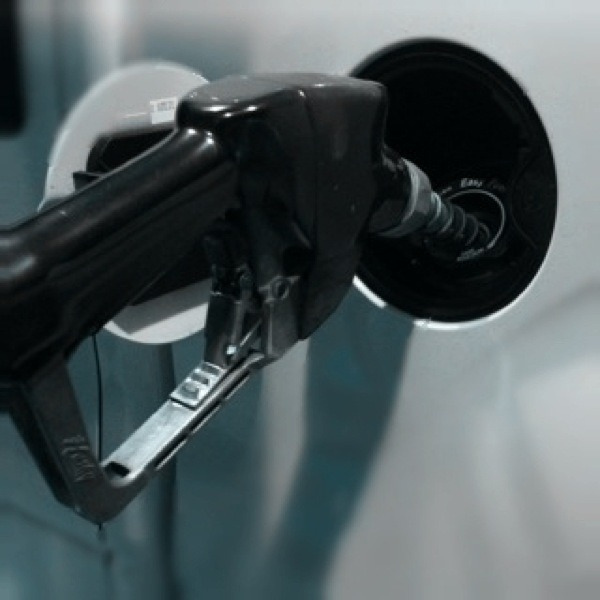 Groups such as Move MN here in Minnesota are advocating for a wholesale tax on gasoline – a gas tax in a politically-palatable disguise – to provide a little bit more funding for the current system. But really, is this a system worth continuing to fund? What would happen if there was no money to do this project? Either the residents would pay for it themselves or it wouldn’t get done, the roadway would fall apart and people in this area would need to decide whether or not to accept a longer commute to town or else move. Either way, the economy of the Brainerd Lakes Area, Crow Wing County, the State of Minnesota and the United States would not be impacted in any significant way. Everyone reading this can point to projects in their communities that have this exact same dynamic. At Strong Towns, we support more funding for transportation – it is a necessity – but only AFTER we’ve reformed our transportation funding system to add some supply/demand feedback, greater local control/responsibility and much more design flexibility so our engineers can actually engineer instead of simply applying minimum proscribed standards.